Let me cast my mind back to when I left University… At that point I was around 125lbs/56kg wet. That’s around 9 stone! How light is that?! Anyway I started work in the “real world” and eventually turned my thoughts to my general health… And how to get big! It didn’t take long to realise all the years of drinking, smoking, eating rubbish food & partying had taken a pretty heavy toll on my general health – I started playing 5-a-side football and promptly was struggling to breath! Here’s a shot of me before… Please ignore my [lack of] fashion sense..! Ridiculously skinny – neck and arms in particular here! Lean bulking or Dirty Bulking – lets separate the lies and reality! Nothing you say or do can stop this from being true! In Excel format, ready to use! What we can do is skew the gains and losses to be heavily weighted towards our goal (for example gaining mainly muscle size and minimal fat). We do this primarily through manipulating the blend of nutrients we eat eating enough protein, fat and carbohydrate to recover from our weight training & encourage muscle growth, but so much we gain a huge layer of fat. 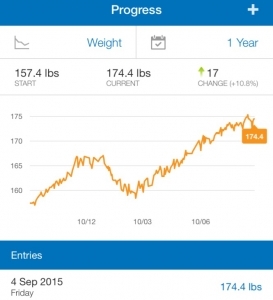 Now as a serious athlete we should all be tracking our calorie intake… Are you? If not then grab MyfitnessPal on your mobile phone (an app) and track what you eat – it’s a HUGE aid to achieving our weight & body composition goals being able to see our intake broken down into fat/protein/carbohydrates. 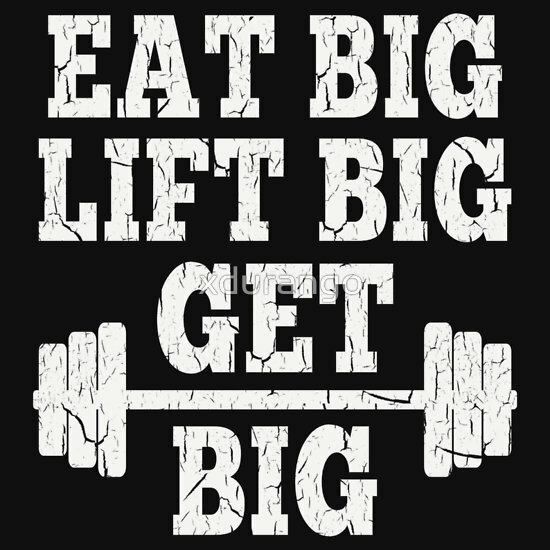 What is absolutely paramount to getting big is eating… A lot! 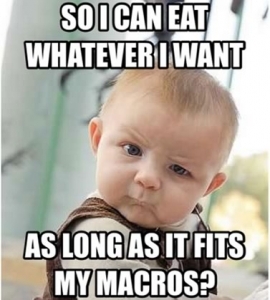 Depending on your body composition you might take a number of options here to vary the rate we add mass at to try and keep it as lean as possible (i.e. avoid fat gain). Those who are thinner like I was (traditionally known as ectomorphs online – not that these body styles are necessarily valid) can get away with a more aggressive weight gain regime. We can gain faster as we have low bodyfat anyway so a little fat won’t hurt our overall composition. I’ve been down both these paths going from 120lbs and around 13% bodyfat I was able to gain weight pretty aggressively, but these days I’m around 175lbs at somewhere about 19% bodyfat so I need to be careful to keep myself from looking chubby! So if I could go back in time and give my young, very skinny self some advice… What would I say? But First… My Results Are In! As you can see I have piled up from 148lbs (just off the chart) to over 175lbs earlier this week. A pretty good gain I think you will agree? We can be a little more aggressive bulking given our body composition at this stage – we can really throw ourselves into food and weights! Our bodies need calories… And these calories are made up of 3 types of macronutrients – protein, fat and carbohydrate. We need protein to build & repair muscle tissue, fat to make sure our body absorbs vitamins & minerals and carbohydrates to provide energy to accomplish things. This set up sits us nicely in a surplus – enough to encourage great size growth. 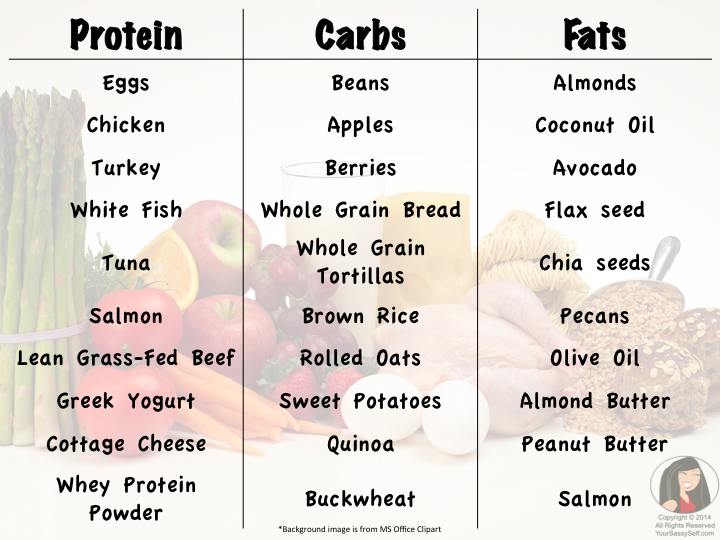 For a transition diet this will be a shock to the system – you probably had a really carb heavy diet before so the move towards protein will be strange. Keep with it – protein is what repairs your muscles so is CRITICAL to growing muscle size. We can go into more detail and explore the science of dieting to gain muscle – but if you’re like I was you will first want to get started and actually SEE some results before you get swamped into detail. 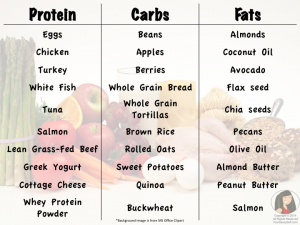 What Does IIFYM Mean and Why Should I Care? So we have covered eating… The diet is SO important for muscle gain that I can’t stress enough, please, please, please track your macros! You will be astonished at the results if you do. The key to success in the weight room is consistency. As long as you are not being totally ridiculous a consistent approach to working out will get you there. Some methods will take longer than others, and no route is perfect, but as long as you keep grinding away you WILL see gains! I’m lucky/unlucky enough to have tried a handful of different programs, so I can share with you what I found that works for me… I will stress that I was eating correctly when doing these!!! Stronglifts 5×5: I loved this program when I first got serious about lifting. The format is a simple A/B rotating workout with heavy squats every day hitting the gym 3x a week. Keep this up, adding 2.5kg to each lift each time you successfully complete a workout day, until you can squat around bodyweight to 1.5x bodyweight for 5×5. Starting Strength: This is my favourite way to pack on lean mass and increase lifts. Pick up from where Stronglifts left you, and with the reduced number of sets we will be able to keep packing weight on the bar. Quite similar to Stronglifts (or should that be, Stronglifts is similar to SS) it focuses on a 3x a week full body template with squats done every day. Eat well, hitting the recommended protein (0.82g/lb of bodyweight) and fat (0.45g/lb of bodyweight) levels as a minimum. Eat around 19-20cals per lb of bodyweight total each day. Lift weights consistently following a great beginner routine & recover between workouts… Focus on the core lifts – do not get distracted when you are just getting started! Hey folks, I'm a keen strength trainee, blogger & author who has advanced from barely lifting 20kg to deadlifting more than double my bodyweight. I can show you how to do the same. 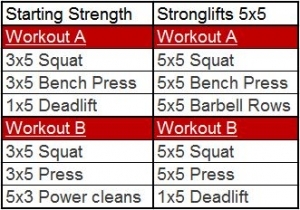 Get Excel templates for Stronglifts 5x5, Starting Strength & Texas Method right now for free.